The consequences that follow a DWI conviction in North Carolina are seemingly never-ending. Not only do you face community service, probation, and even jail time as a result of a conviction for DWI, but you also must deal with associated driver’s license implications. After a DWI conviction, your North Carolina driver’s license will be revoked; you will no longer have driving privileges. In Charlotte, this happens when the Mecklenburg County Clerk of Court sends the North Carolina Division of Motor Vehicles (DMV) record of your DWI conviction. Under the NC General Statutes, when DMV receives record of your DWI conviction they must revoke your driver’s license. If you are caught driving during a period of revocation, you may be charged with driving while license revoked (DWLR). How Long Will Your License Revocation Last? The length of your driver’s license revocation will vary depending on numerous factors, such as the number of prior DWI convictions you have, when those DWI convictions occurred, and the DWI Punishment Level you are sentenced at for your current DWI. The chart below summarizes the length of time your North Carolina driver’s license will be revoked depending on these various factors. *DWI Offense Date: This refers to the day of the incident that led to you being charged with and/or arrested for DWI. Almost always, this date will be the date on your citation. If eligible, a limited driving privilege may be granted, which allows you to drive legally while your driver’s license is revoked even after being convicted of DWI. In order to regain your driving privileges following a DWI conviction, you must apply with the NC DMV to have your driver’s license restored once your period of revocation has expired. This first requires payment of a $100 restoration fee. However, even after you have waited out the required revocation period and paid the required restoration fee, your driving privileges do not automatically go back to normal. Following restoration of your driver’s license after a DWI conviction, NC DMV still imposes numerous restrictions on your driving privileges that you must be aware of. Let’s take a look at some of the most common restrictions. With regard to DWI law, a person’s alcohol concentration is essentially the percentage of alcohol on a person’s breath or in a person’s blood. An alcohol concentration restriction limits the alcohol concentration you can drive at to either 0.04 or 0.00 depending on the circumstances of your case. The chart below details when an alcohol concentration restriction is required, the applicable restriction, and the length of the restriction. * Aggravated Level 1 DWI = There are 3 or more Grossly Aggravating Factors in your case. As part of having your North Carolina driver’s license restored, you must agree to submit to a breath or blood test at the request of a police officer who has reasonable grounds to believe that you are violating your alcohol concentration restriction. A willful refusal to submit to this breath or blood test, or an actual violation of the alcohol concentration restriction, will result in additional one-year revocation of your driver’s license. In addition to facing an alcohol concentration restriction following restoration of your North Carolina driver’s license after a DWI conviction, you may also be required to have an ignition interlock installed on your vehicle. An ignition interlock is a device that is installed in your vehicle and measures your alcohol concentration. If your alcohol concentration exceeds the pre-programmed level, the device prevents your vehicle from starting. The chart below indicates the various conditions that require an ignition interlock, the alcohol concentration restriction associated with each condition, and length of time the ignition interlock must be installed for. As seen in the chart, the amount of time an ignition interlock must be installed on your vehicle will either be one year, three years, or seven years. This clock begins to count from the date your driver’s license is actually restored, not the date you were eligible to have it restored. Additionally, if you received a limited priving privilege (LDP) and had an ignition interlock installed as part of your LDP requirements, the time you had the ignition interlock installed will count towards that one, three, or seven-year period. For example, assume you were convicted of your first DWI and your alcohol concentration was 0.15. Consequently, your driver’s license was revoked for one year. You waited the requisite 45 days and then received a LDP with an ignition interlock, which remained in effect for the remaining period of the one-year revocation. 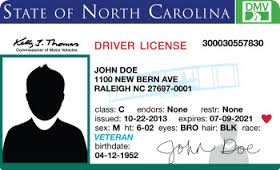 Once the revocation is up, you apply to have your North Carolina driver’s license restored. As a result, you will only be required to have the ignition interlock on your vehicle 45 more days, not another year. If you have received a four year of permanent driver’s license revocation as a result of a DWI conviction in North Carolina, there is a possibility to have your driver’s license conditionally restored before the expiration of your revocation. This means that even though your revocation time period has not ended, you may be eligible to have your driver’s license reinstated. You are not illegally using any controlled substance. If your driver’s license if conditionally restored by the NC DMV, you will be subject to the same alcohol concentration restrictions and ignition interlock requirements discussed above. Additionally, the NC DMV may also put in place any other reasonable conditions or restrictions they deem necessary for the remainder of your revocation period. As a refresher, your NC driver’s license will be permanently revoked if you are convicted of DWI and have two or more prior DWI convictions within previous 5 years or sentenced at an Aggravated Level 1. In either case, the NC DMV may conditionally restore your driver’s license in two different scenarios. Under each scenario, you must meet all the listed requirements in order to have your driver’s license conditionally restored. Your NC driver’s license has been revoked for two years. You have not consumed alcohol for the twelve months before the restoration, as proven by a continuous alcohol monitoring (CAM) device. Your NC driver’s license has been revoked for three years. As is the case when your driver’s license is conditionally restored after being revoked for four years, the NC DMV may also put in place reasonable conditions and restrictions when your driver’s license is conditionally restored after being permanently revoked. These conditions and restrictions may last five years from the conditional restoration. The driver’s license revocation that takes place after a DWI is undeniably a complicated area of DWI law. Even more difficult to understand than that is the driver’s license restoration process, requirements, and conditions that you must realize in order to begin lawfully driving again following a DWI conviction. The DWI lawyers at Browning & Long, PLLC can assist you through this process. Contact us today at (980) 207-3355 to discuss your questions and concerns.